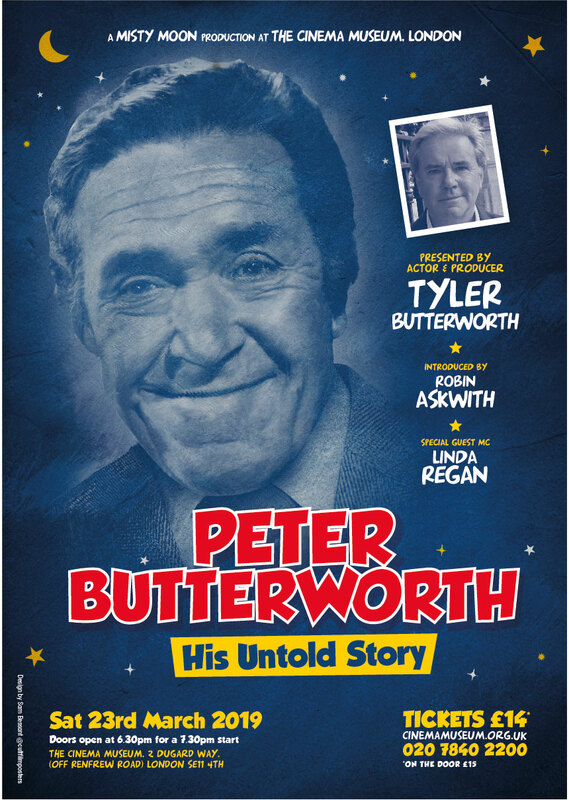 On the 23rd March 2019, we are very proud to welcome Tyler Butterworth to the award winning Cinema Museum to present his one man show about his father, the much loved and missed comedy actor Peter Butterworth. The evening will be introduced by Misty Moon’s El Presidente Robin Askwith and the Q&A after the show will be hosted by our resident MC Linda Regan. The poster was designed by Sam Bessant and will be available on the night in a limited edition run of 20 signed by Tyler, Robin, Linda and Sam.